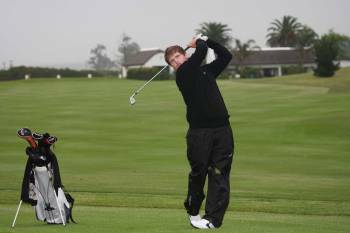 We offer various golf packages at Fancourt Montague golf course along the Garden Route in South Africa, but you must be a resident at the Fancourt Hotel or one of the golf lodges on the Estate to play the course. 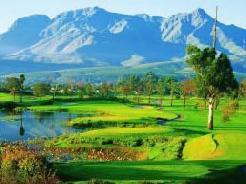 Contact us at info@golfdirect for our special deals at Fancourt. 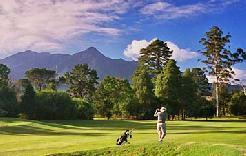 The Montagu course at Fancourt is a much celebrated parkland course and has been ranked as the number-one golf course in South Africa in the past. 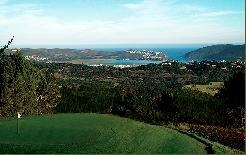 This immaculate golf course has recently undergone major renovations with several holes being redesigned and has two completely new holes – the 1st and the 9th. 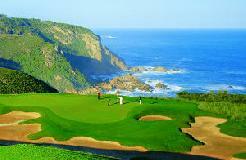 The Montagu took shape under master golfer Gary Player. 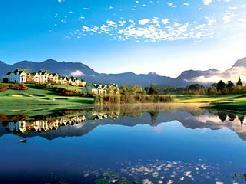 With worldclass conditioning and a setting that takes in mountains, water and wildlife, not to mention an ideal golfing climate, there is nothing to beat a round of golf at Fancourt. 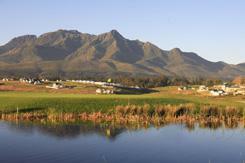 "With golf critics becoming more discerning and the increase in new modern courses, we believed it was time to rejuvenate the Montagu layout and improve the course immeasurably," says Resort General Manager, Ingrid Diesel.
" We believe the new-look course, which has now grown in superbly, has been restored to its former glory where it will once again hold its head high amongst the best in the world." 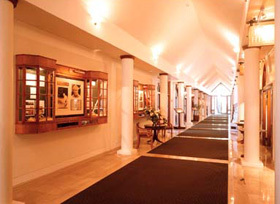 As with The Outeniqua, play is restricted to members, their guests and resort guests, so there is ample time and space to savour the Fancourt golfing experience. 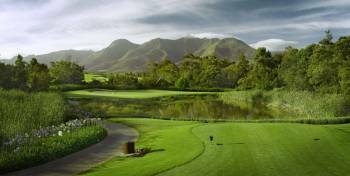 Residents at Fancourt are virtually guaranteed a tee time, but It is always a good idea to book in advance to ensure that you get your desired tee time. The warm-up area, featuring a full-length range and a chipping and bunker practice area, is available to all golfers before play. 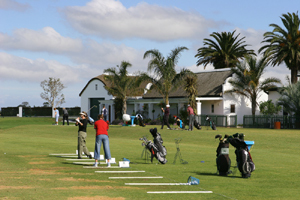 Golf carts are available for hire, weather permitting, while knowledgeable caddies are compulsory to ensure a steady pace-of-play - at least two caddies for each fourball. 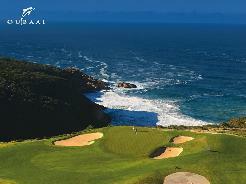 Course Design Gary Player Design Co.